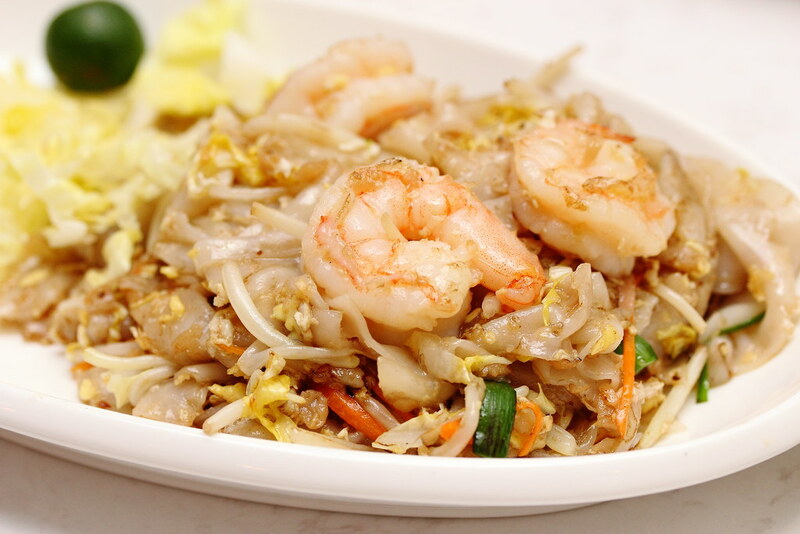 While Singapore is known as a food haven, it is actually quite hard to find a place for supper after 9pm. ChaoZhou Porridge (潮粥) at River Valley Road will offer a good choice for your next supper, serving nostalgic taste of Teochew porridge and cuisine in a modern setting. The chef at ChaoZhou Porridge, even made the long trip to ChaoShan, China to learn more about Teochew cuisine and even picked up a couple authentic local recipes which is incorporate into the menu. 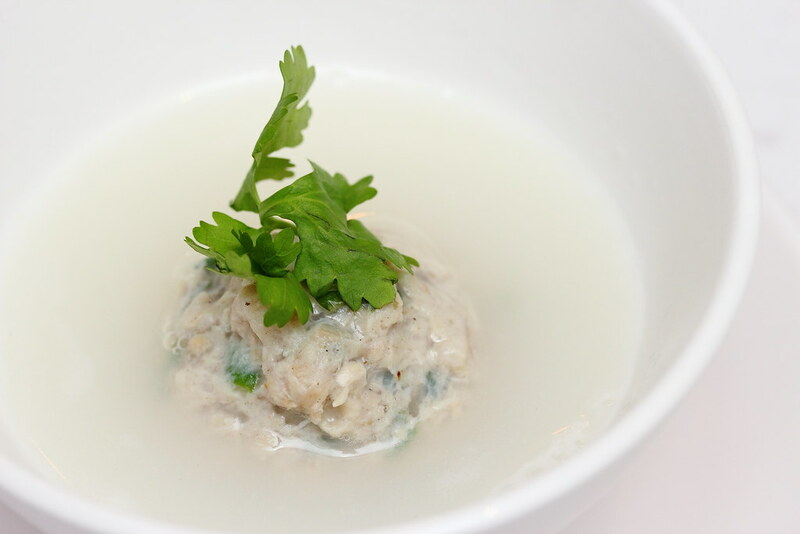 Following an authentic Teochew recipe, the ChaoZhou Porridge ($0.70) is served half mountain half sea or in Chinese known as "半山半水". One side of the bowl is more watery while the other side has more of the rice grain. The Steamed Meat Ball with Porridge Water ($5.50/pc) is something new for me.This is the first time I have seen such combination. The meatball is made from a medley of different ingredients such as pork and vegetable. The slight salty meatball and the subtle taste of the porridge water made this an enjoyable combination. 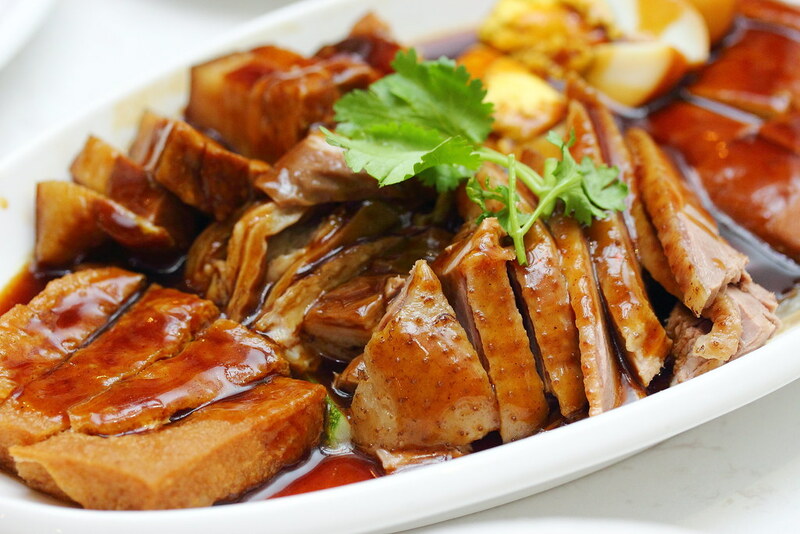 The Braised Delight Platter ($16.90) comes with duck meat, pork belly, large intestines, egg, beancurd and tau pok. Special mention for the braised duck that uses a recipe afer 30 years of experimentation. A must try at ChaoZhou Porridge is the Big Sotong with Homemade Sauce ($6.90). 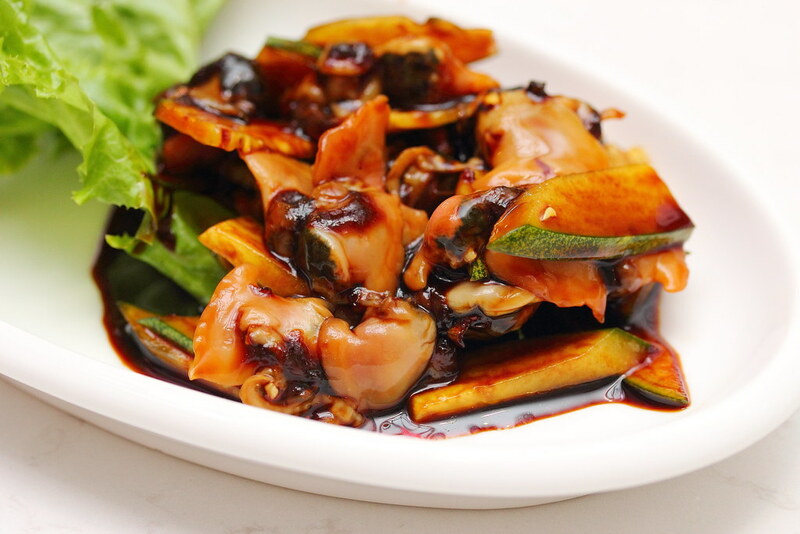 The sotong is first steamed and then chilled, served as a cold appetiser. The pillowy sotong is best paired with the homemade sauce that comes with a sweet, sour and spicy note. A very addictive dish on the menu is the Cockles ($6.90). Besides the plump cockles, the dark sauce was the highlight for me. This is probably one of the best version I have eaten. 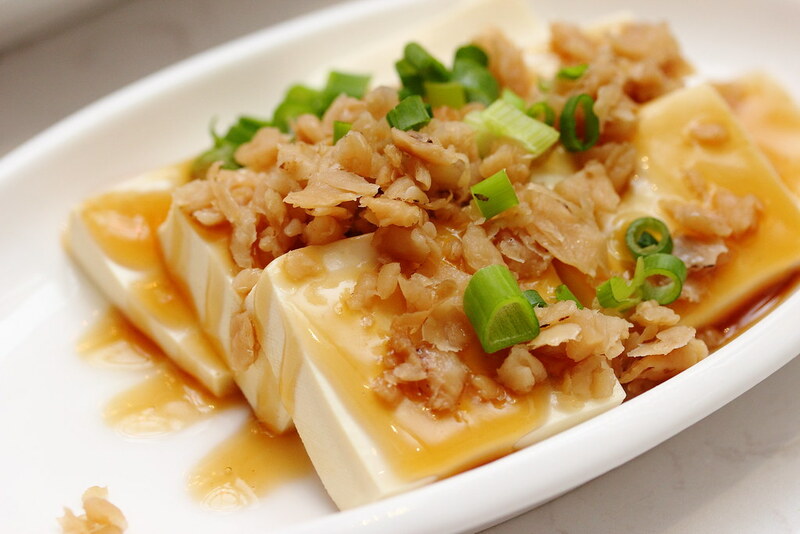 For something light, go for the Cold Beancurd with Preserved Radish ($4.80). The preserved radish and the savoury sauce give the beancurd a lift in taste and extra crunch. 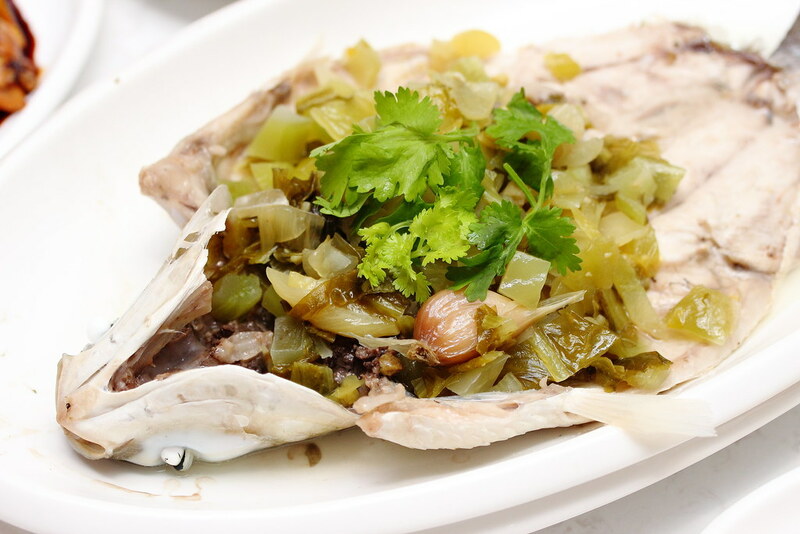 Teochew loves their steamed fish and hence there is the Chaozhou Steamed Mullet (seasonal price) on the menu. The whole fish is steamed in the pot before removing the gut and served with salted vegetables. The execution allows one to appreciate the meatiness and moist oily flesh. 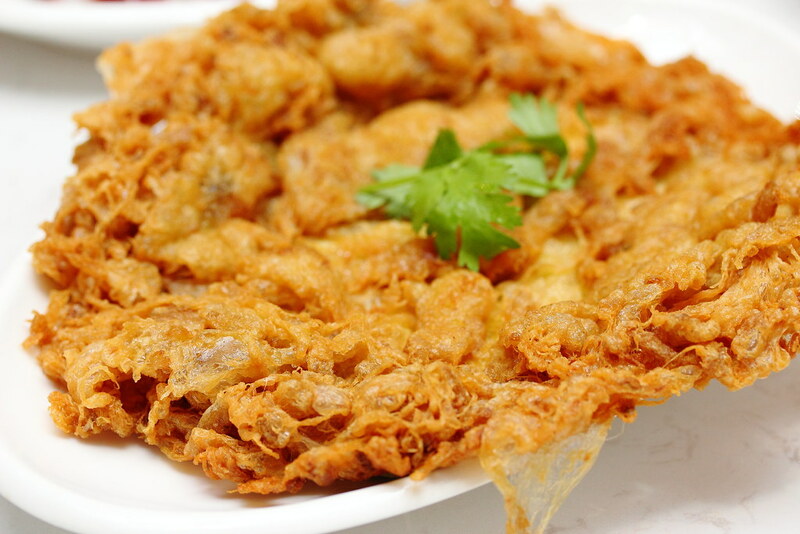 Fried to a beautiful golden colour is the Preserved Radish Omelette ($2.50 Small / $4.50 Large). The fillings of radish gave it an extra crunch with each bite. 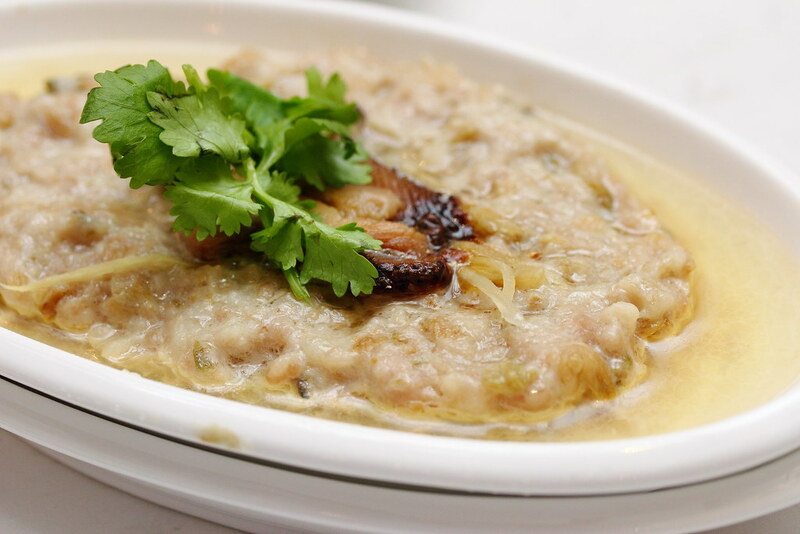 A classic dish to go with the porridge is the Steamed Minced Meat with Salted Fish ($4.50). This is a must order for me whether I have Teochew porridge. The saltiness of the minced meat provides the perfect complement to the porridge. After all the seafood and meat, it is good to have some greens. 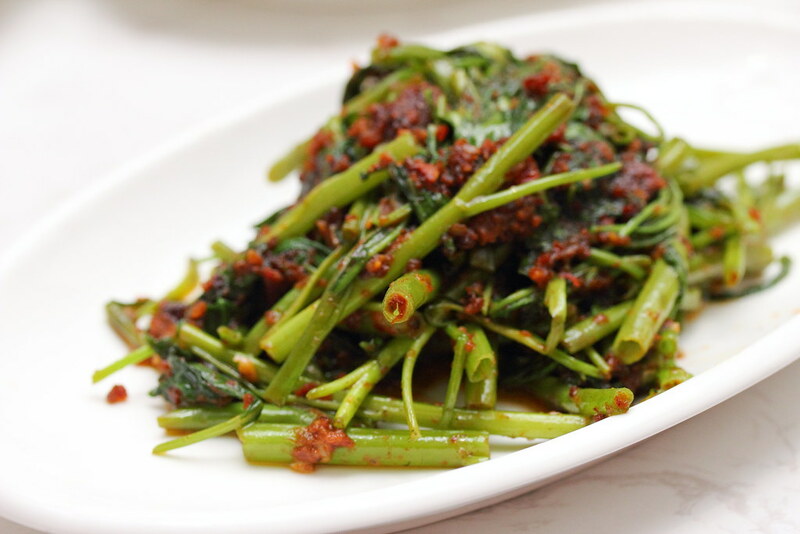 The Sambal Kang Kong cooked to a nice crunchy bite may not be a Teochew dish but definitely a popular local favourite. 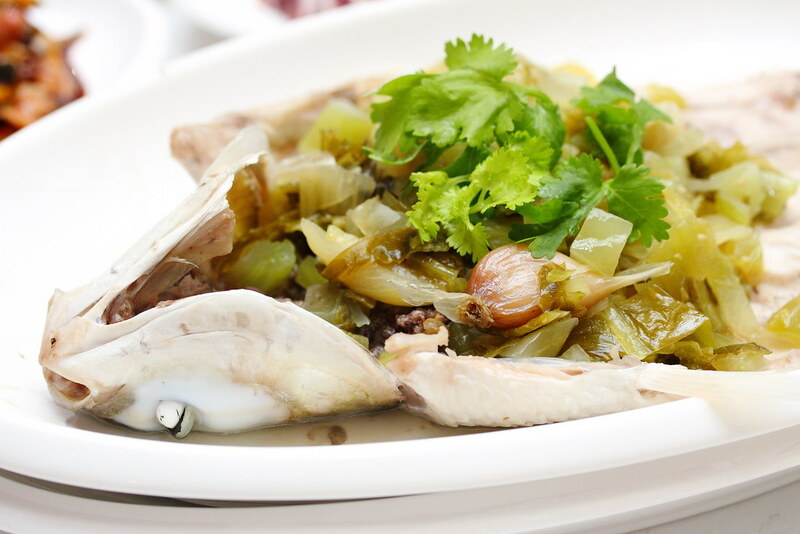 Besides the Teochew porridge and its accompanying dishes, the menu at ChaoZhou also offers some cooked dishes on the menu. We had the ChaoZou Fried Kway Teow ($8) which surprisingly was quite good with the wok hei or smokey flavour. 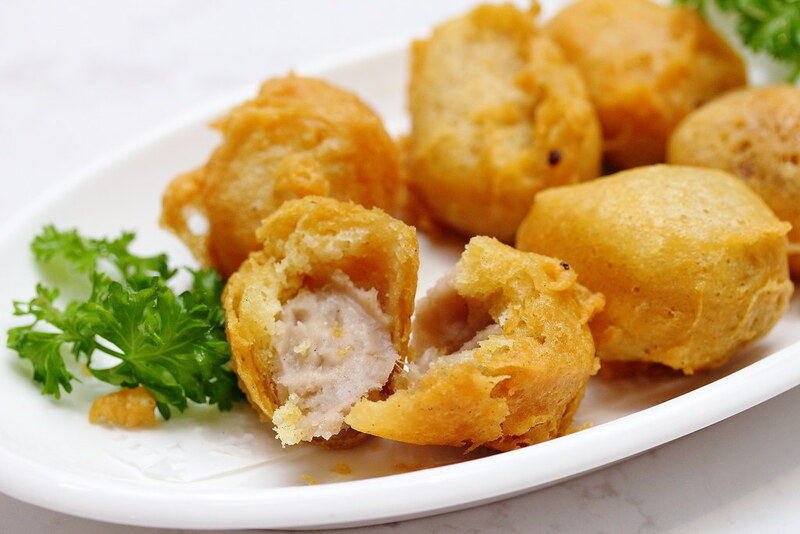 From the limited dessert menu, a worthy order is the Crisp-Fried Taro Rolls ($2.30/pc). A minimum order of 3 pieces is required. Crispy on the outside with the sweetness of the yam inside, this is a delightful hot dessert to end the nught. With the opening hours from 1030am to 5am next day, ChaoZhou Porridge is like a all day dining venue. Being a Teochew myself, I am glad that I have discovered another great dining venue, especially another supper place. I am sure I will be back again.